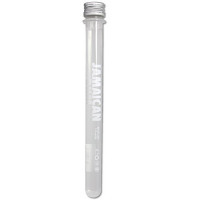 Tubeoptics Premium Jamaican Rum 65% ABV 20ml miniature. A fantastic way to try and sample this Great tasting Overproof Jamaican Rum. Perfect for parties and festivals. Easy and safe to transport. Recyclable container. Search 'Tubeoptics' on Amazon to see what other optics we have available. Please Drink Responsibly.